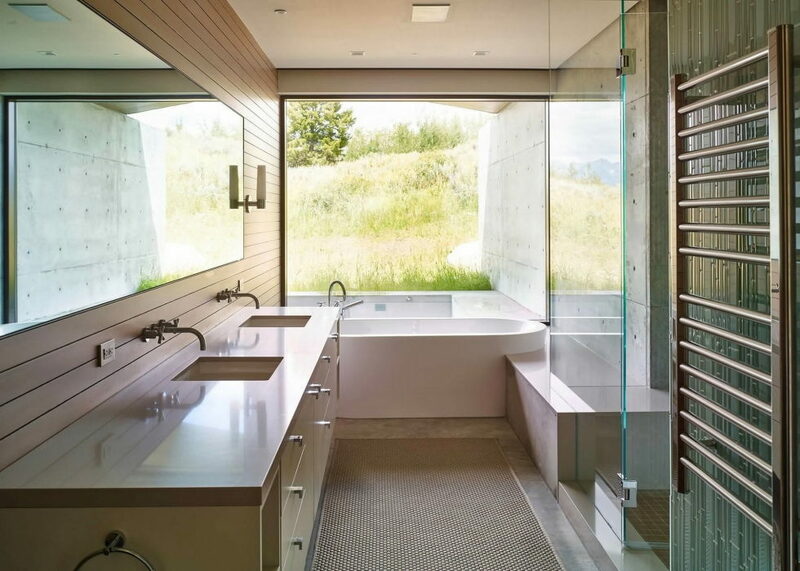 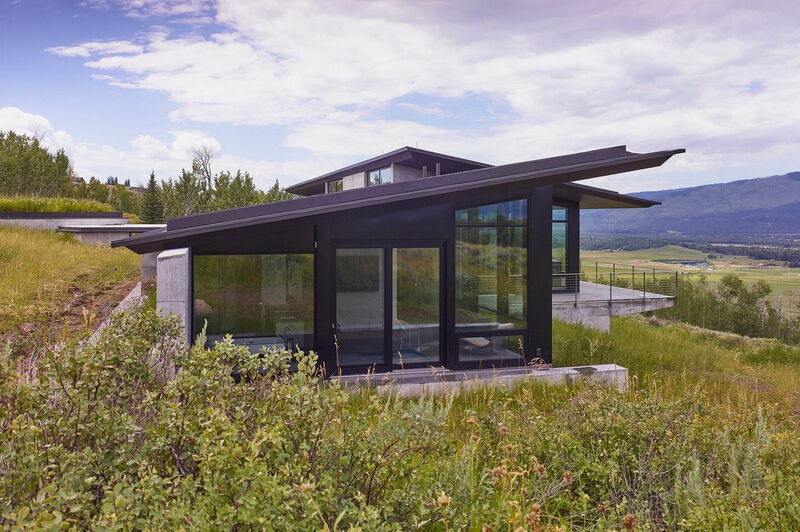 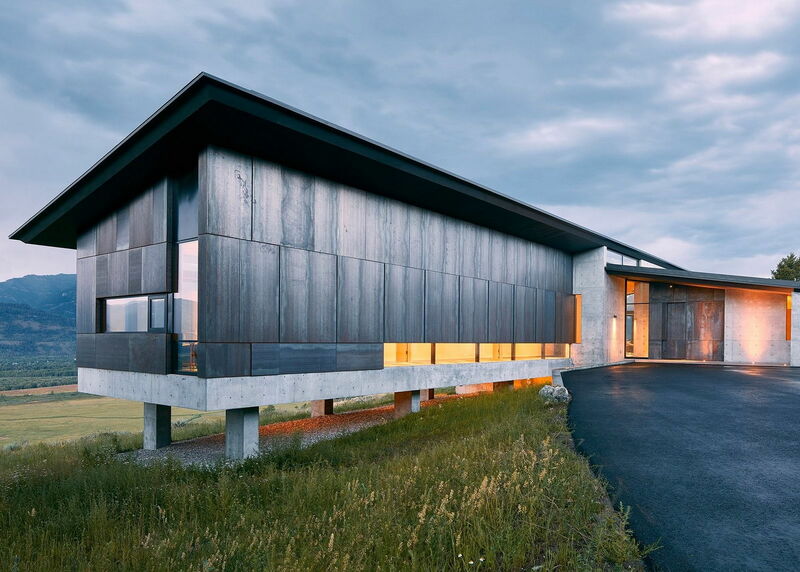 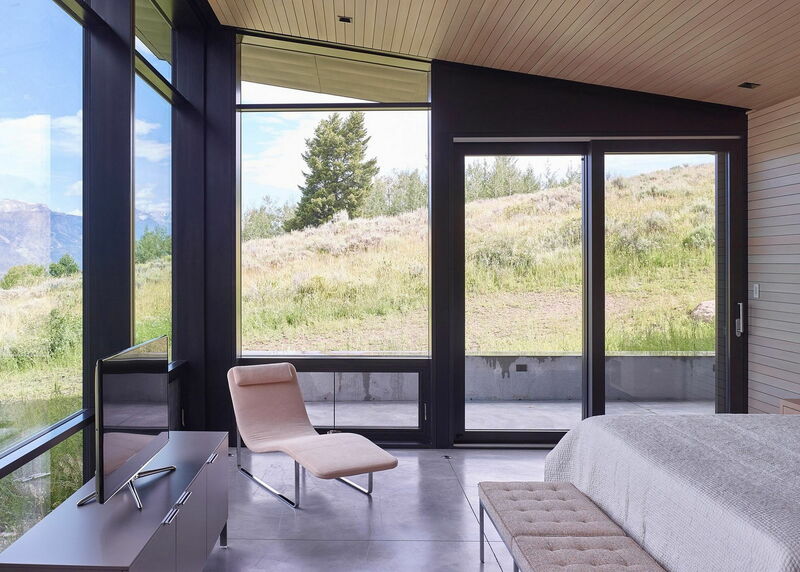 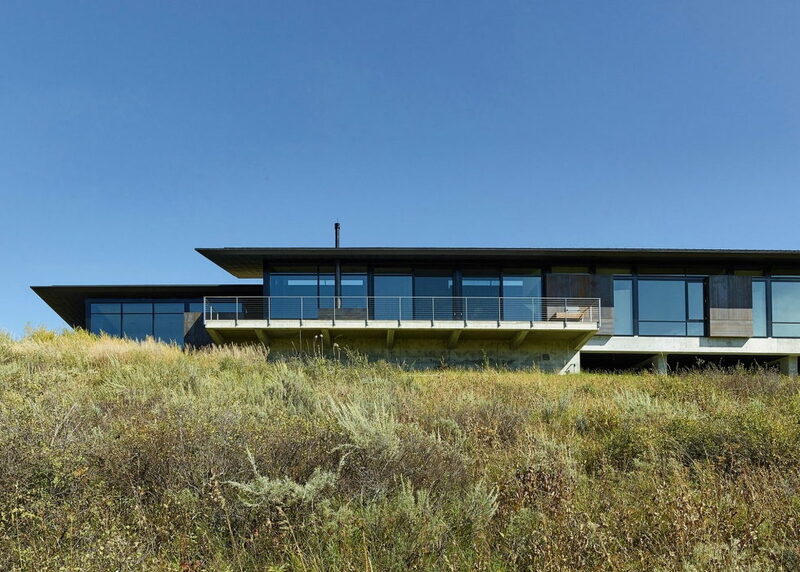 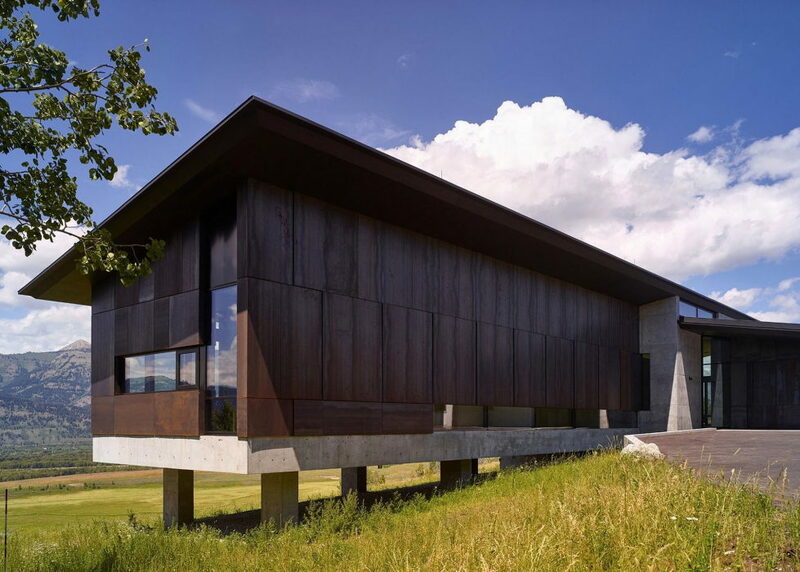 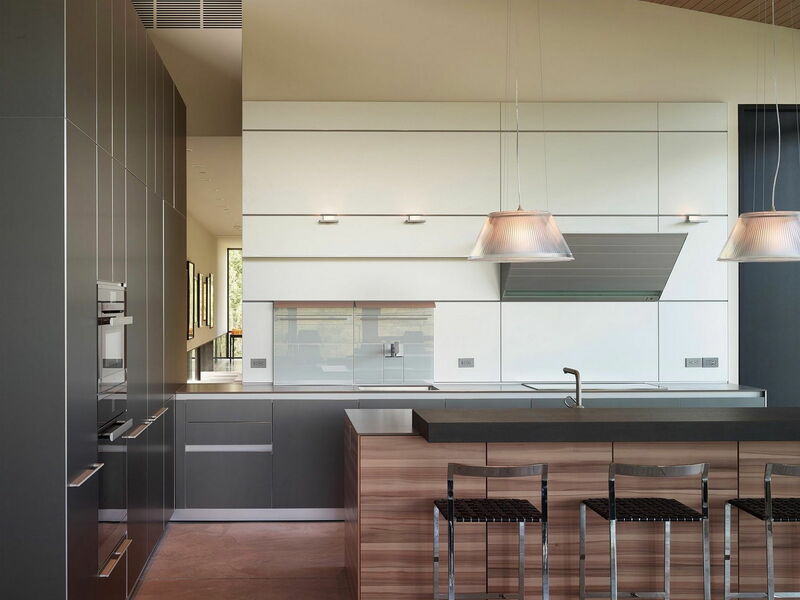 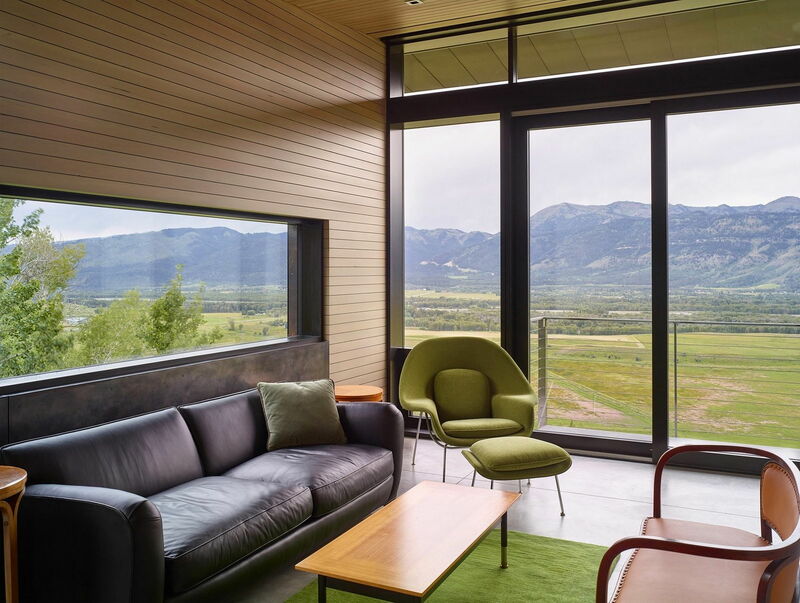 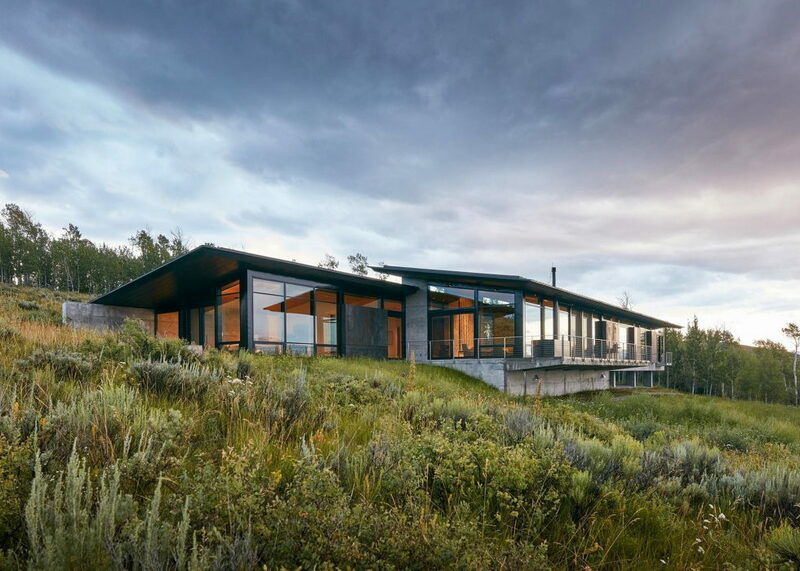 Abramson Teiger Architects Studio has projected a house in Wyoming (the USA). 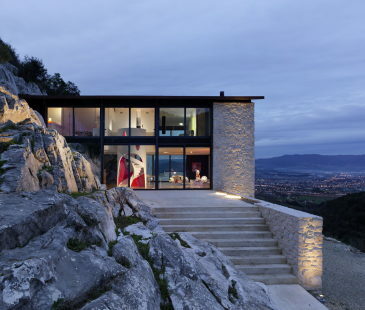 The construction is made of glass, steel and concrete and is low-rise, comprising of several volumes. 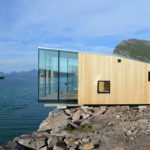 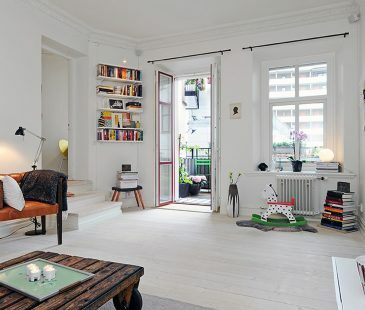 This single-story house occupies 650 sq. 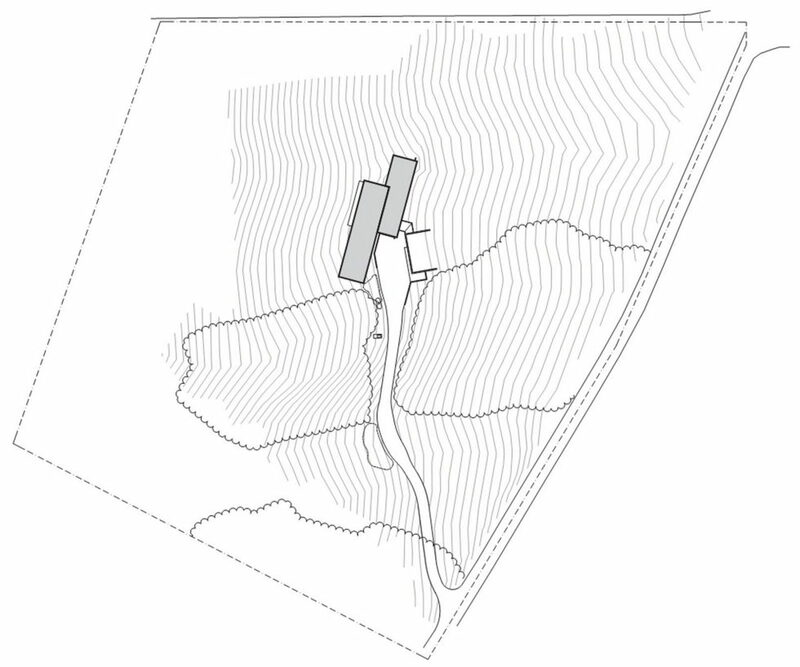 meters and is placed on the opened space with a separate garage nearby. 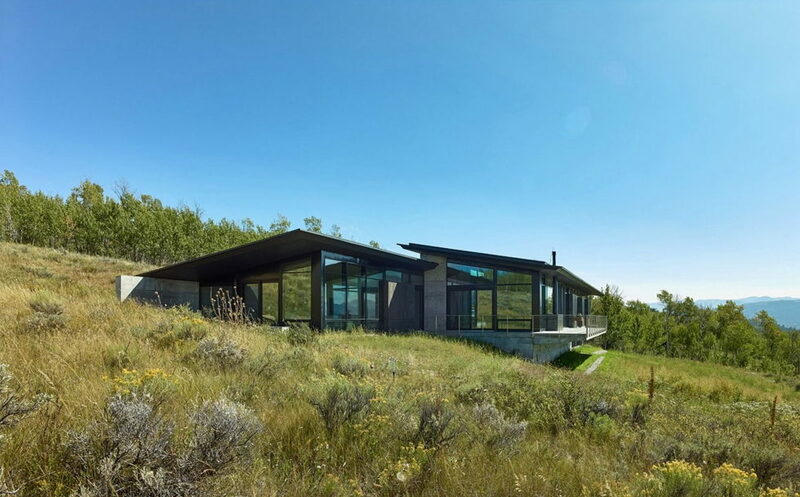 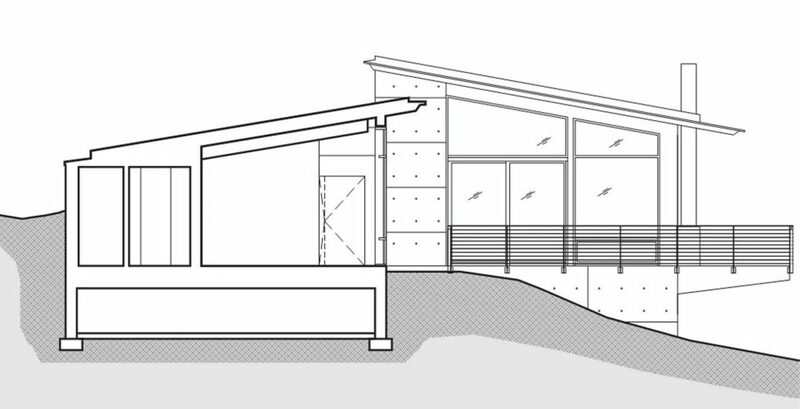 The main architect`s aim was to laconically unite modern residence and surrounding landscape using durable construction materials. 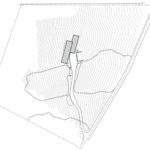 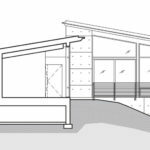 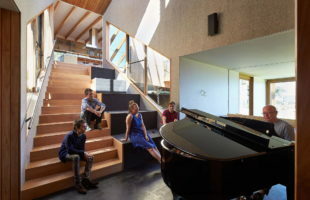 The only serious landscape`s breach had happened during garage`s construction in the hollow; this, however, was balanced with a green roof and thus the architecture and landscape have been reunited. 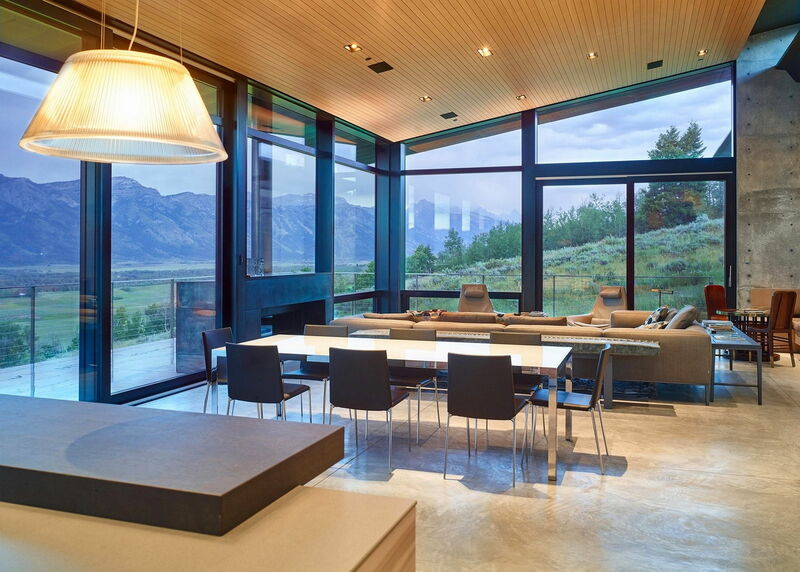 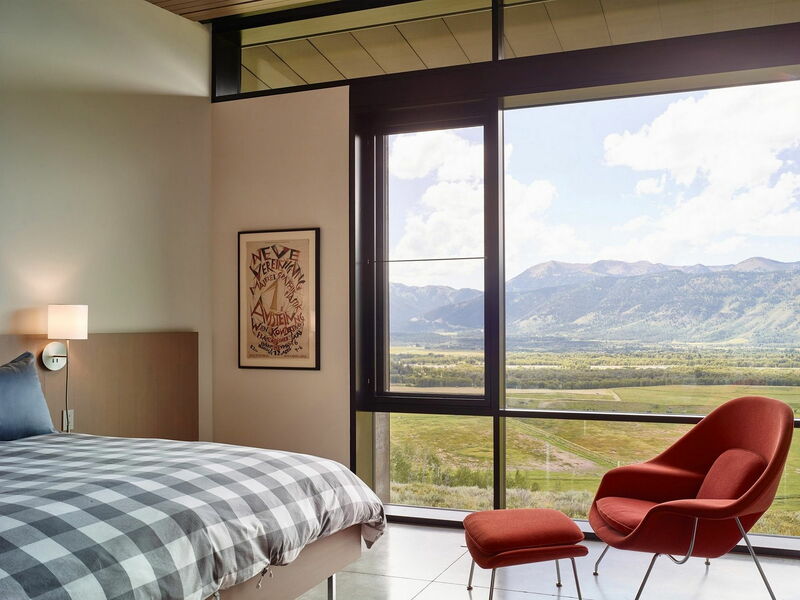 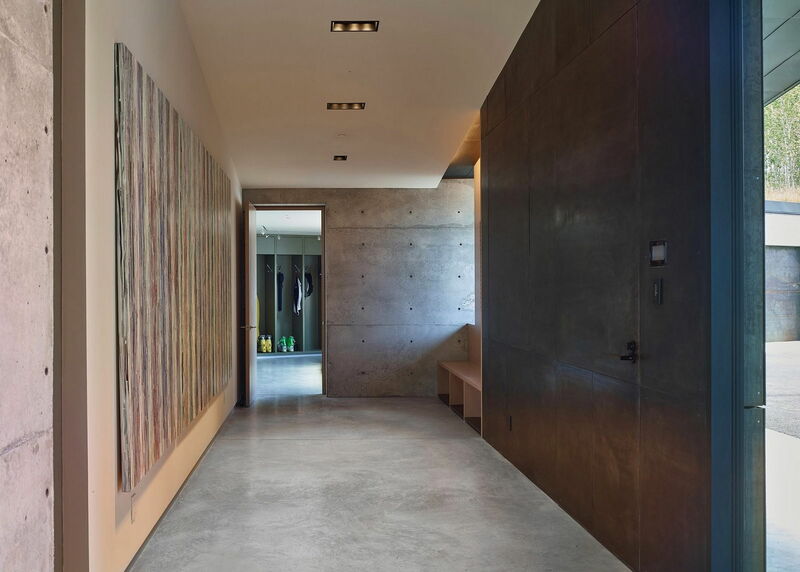 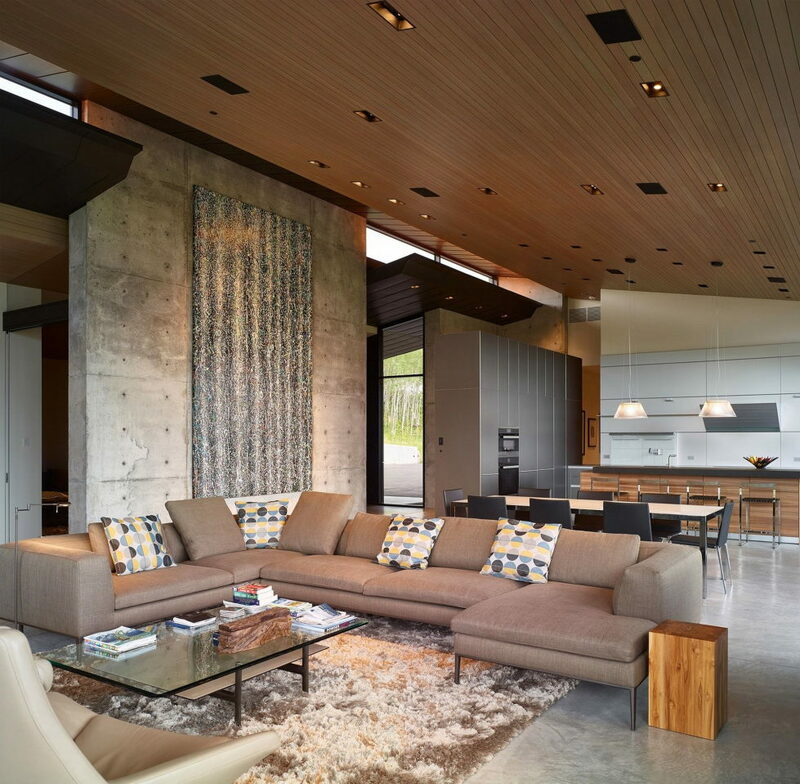 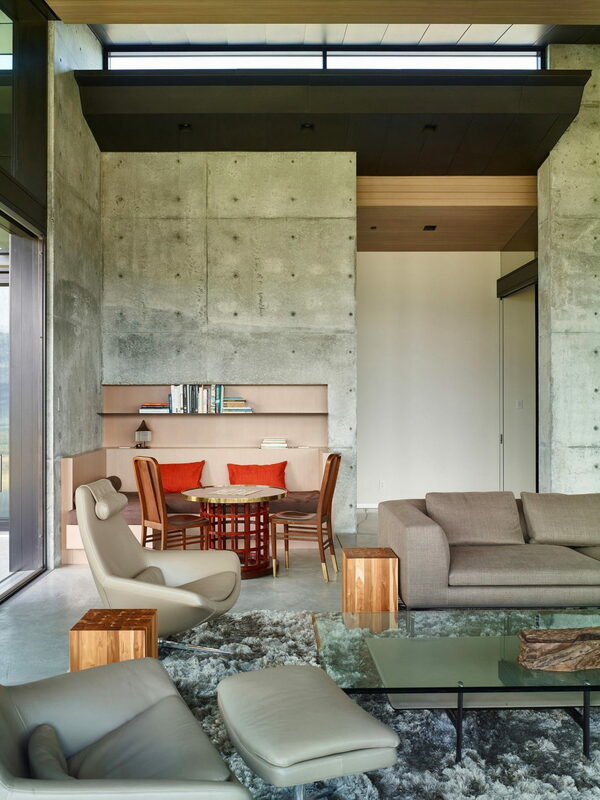 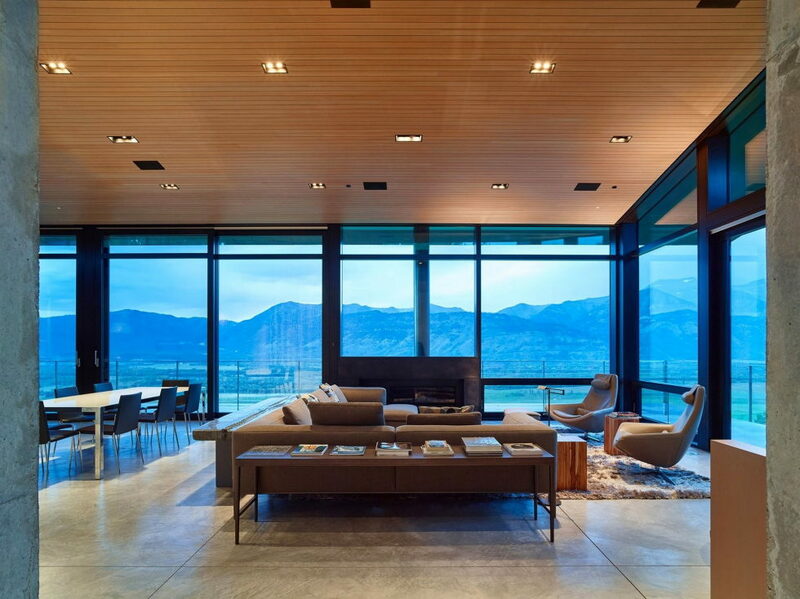 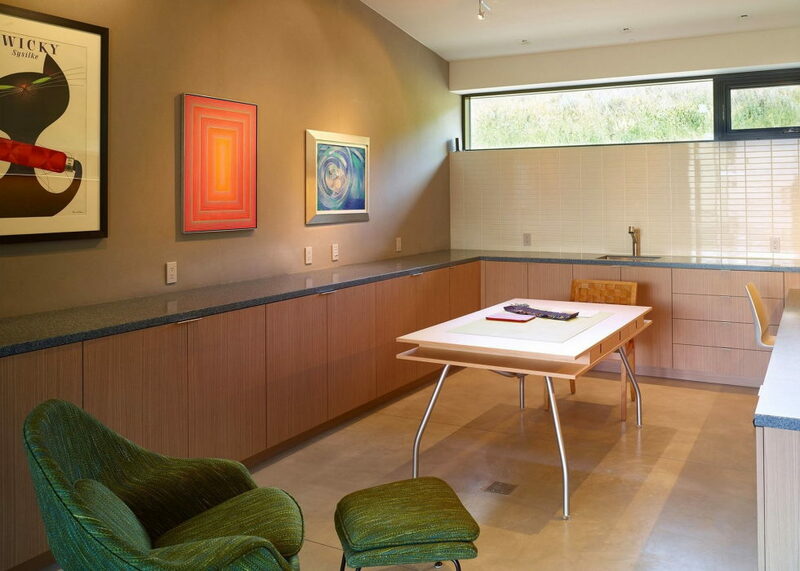 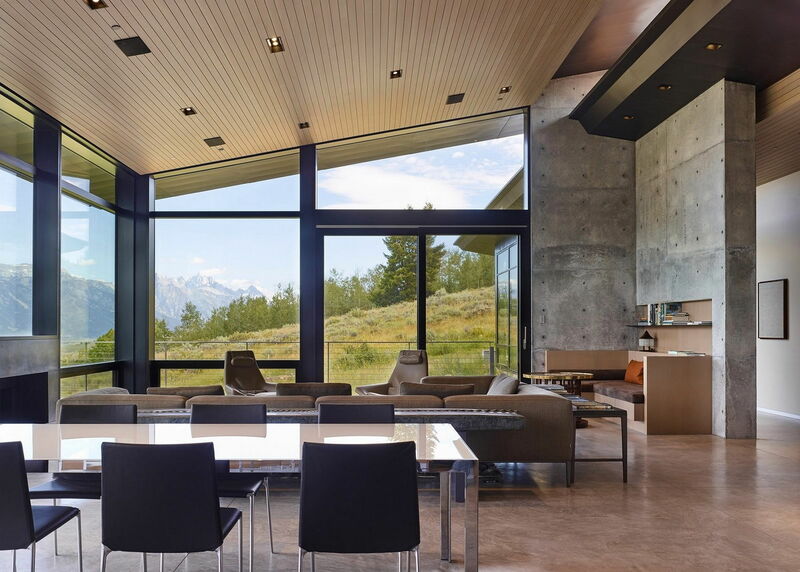 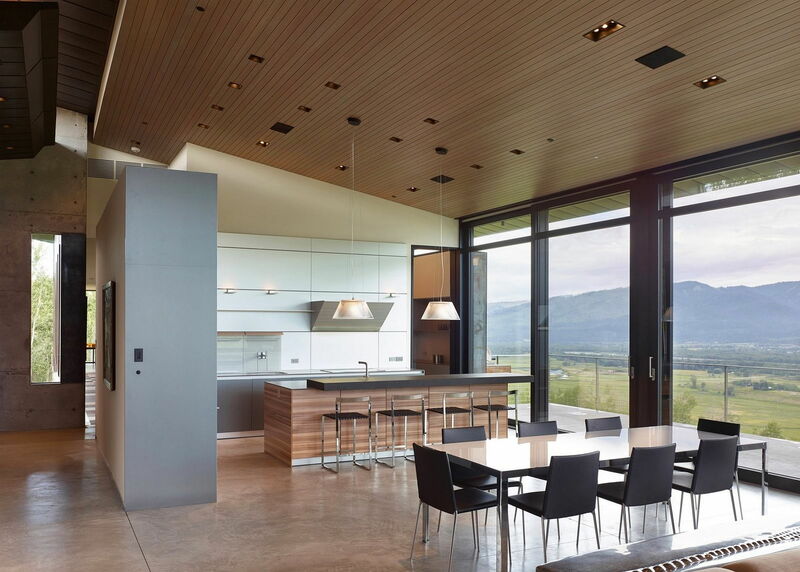 Polished concrete floors inside make the interior look modern, wooden panels create warm atmosphere, whereas panoramic windows, framed with black metal, provide outstanding mountain view. 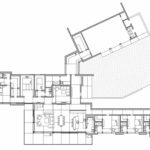 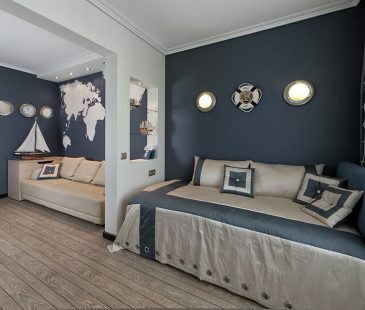 The residence also contains a spacious bedroom, a range of small guest rooms, opened-type kitchen, a living and dining rooms. 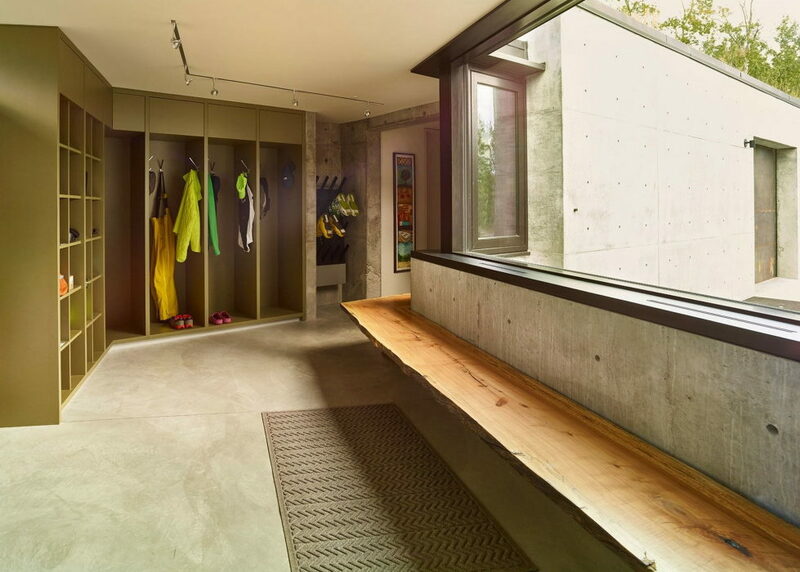 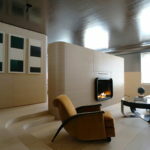 The designers took into consideration proximity of ski slopes and developed a room for inventory with inbuilt shoe dryers. 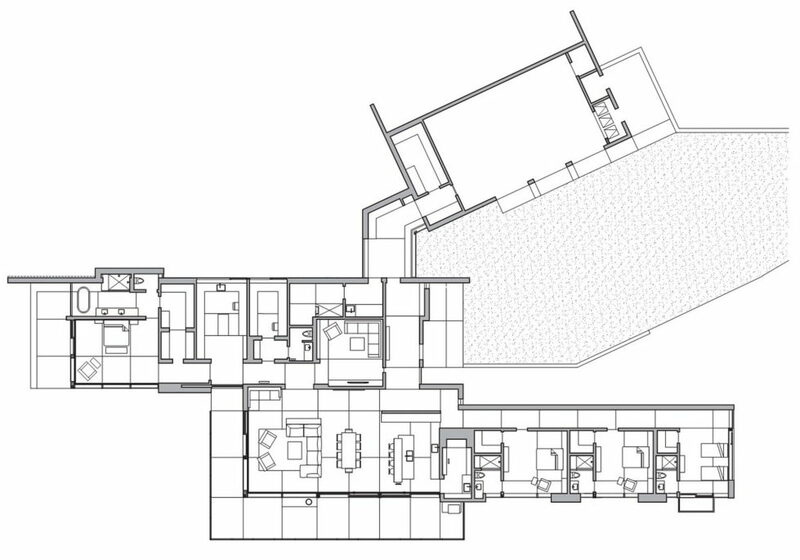 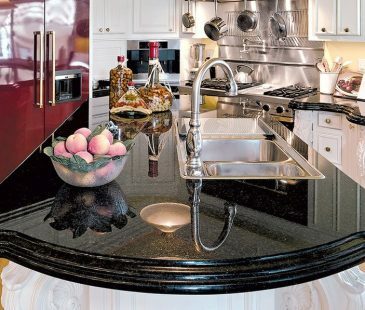 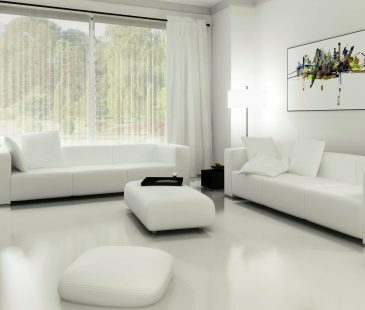 Attention to details along with well-defined structure resulted in harmonic alliance of functionality and décor.